When I was little, we used to check out all the Garfield and Peanuts comic books we could find at our rinky dink base library. But that was back in the old days. Nowadays, however, look what the latest comics have turned up! 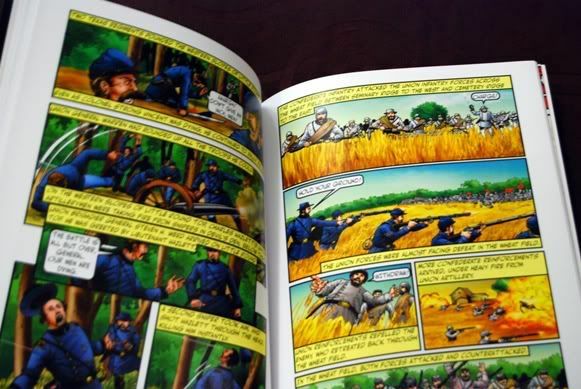 Graphic Novel History: Civil War Set 1 and Set 2.